Shipping a recreational vehicle may seem daunting, but the process is actually pretty easy! Since 2009, All Day Auto Transport has helped over 45,000 clients ship vehicles across the United States. And we ship recreational vehicles of all shapes and sizes. 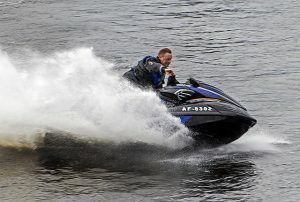 This includes ATVs, quads, jet skis, snowmobiles, and RVs. Additionally, we are a preferred shipper for many Polaris dealers, shipping about 10 to 15 units per week, including the popular Polaris RZR. Our nationwide network of over 5,000 carriers boasts a fleet specifically devoted to getting your recreational vehicle to you. Is It Difficult to Ship a Recreational Vehicle? Not at all. In most cases, shipping a recreational vehicle is very similar to shipping a car. The time to transport generally takes 1-2 days if it is only being shipped a short distance, or 5-7 days to ship it across the country. Shipping time does fluctuate depending on the time of year (see article on seasonal shipping demand changes), and the distance and route required. 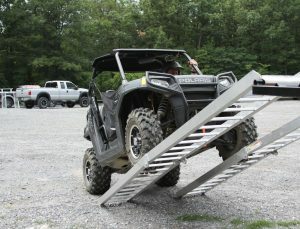 Shipping a Polaris RZR across the country is around $1,190 in an enclosed carrier, and $890 in an open carrier. As with cars, shipping costs for recreational vehicles depend on a number of factors, including the size and weight of the vehicle, the distance it will be shipped, whether it is shipped in an open or closed carrier, and whether it is running and can be driven off the trailer. Many people prefer to have their recreational vehicle shipped via an enclosed carrier in order to keep it protected from the sun and elements. However, if you’re looking for the best price, shipping a recreational vehicle in open carrier is a great option. Yes, shipping your recreational vehicle is safe. The vast majority of shipped recreational vehicles arrive in the same condition as they were in when they left their place of origination. However, be assured that every carrier we use holds at least $500,000 in cargo insurance. In the event that your recreational vehicle does sustain damage while it is being shipped, it will be covered provided you note that damage on the Bill of Lading when it arrives at its destination. How Do I Prepare My Recreational Vehicle for Shipping? Remove loose and personal items to avoid them causing damage or becoming lost during transport. Ensure that all doors and windows are fully closed and all electronic devices that are not needed to operate the vehicle are disconnected. Make sure that tires and wheels are in good condition and that fluid levels are at a sufficient level to operate the vehicle once it arrives at its destination. Ensure that the tow bar is properly installed and latched, and that all other mechanical aspects of the vehicle are working properly, including signal lights and brakes. Note and photograph the condition of the recreational vehicle before it is shipped to compare to its condition after it arrives. Be sure to make an additional set of all keys needed to enter and operate the vehicle and provide these, along with any special instructions, to the carrier upon pick up. My Vehicle is Being Shipped. How Do I Know Exactly Where It Is? With All Day Auto Transport, you will be able to track the progress of your vehicle online, 24/7. Additionally, you will have the mobile number of your driver, to provide you further peace of mind as your shipment makes its way to you. For more information about shipping your recreational vehicle or to receive a free quote, contact us.